Already at the start of the 15th round of Serie A we have a clash between two Italian giants, Napoli and Inter. This season, both are playing a lot worse than it was expected from them, so that the home side currently sits only the seventh place in the table, while Inter immediately below them with four points behind. Both teams are undefeated in the last three rounds of Serie A, while the Nerazzurri have enrolled one win more. Last season at Stadio San Paolo, Napoli celebrated with 2-1 against Inter, but at the same place lost the game in the Cup competition with 2-0. With the same result Napoli lost at the Stadio Giuseppe Meazza. Speaking of their mutual encounters, the Nerazzurri have won only two of their last 11 Serie A games against the Partenopei, while playing at home, in the last 10 Serie A clashes, Napoli remain unbeaten. Back in a season 1997/98, the Nerazzurri managed the last time to take all three points from the San Paolo. After a great start of the season Napoli due to a serious injury for a longer period remains without their top goalscorer Milik, and without him, Sarri’s team is having problems with goalscoring. In the last 11 official meetings Napoli enrolled only three wins and those were against the “smaller teams” like Crotone, Empoli and Udinese, while in their last two games at the San Paolo the Partenopei have shared points with Dynamo Kiev in the Champions League and with Sassuolo in Serie A. – We are not in crisis and I do not want to see sad faces. We need to be bolder and more decisive, we need to look for a second goal before we concede it. – We need to do something to avoid the loss of wins as against Sassuolo. On the pitch we have to be more courageous. In addition to a longer absent Milik, a game with Inter because of suspension will miss and important winger Mertens which means that Sarri in attack from the first minute will use Insigne, Gabbiadini and Callejon. It is questionable whether on the left side match will start Strinic or Hysaj, and whether Diawara’s going to maintain a position in the center in front of Jorginho. The new Inter coach Pioli after a starting draw in the derby was defeated in Israel and thus his team lost a chance to reach the knockout phase of the Europa League. Pioli on his the third match as the Nerazzurri’s boss finally snatched the first victory. Against Fiorentina, Inter on a superb way opened the game, having a 3-0 lead already in the first 20 minutes. But despite a win, his men again showed flaws in the game, and frequent falls into rhythm within 90 minutes of the match. Fiorentina in the second half was playing with one man less and was close to even level the score, during 3-2 score, the Viola had several chances, but in the end, Icardi after a counter-attack sealed a win for his team. Victory and four goals scored certainly will boost team confident Inter after their defeat against Hapoel, but now at the club from Milan believe they can grab some points at the San Paolo. Napoli currently is not in the best shape, but tradition does not support Inter who the last time at the San Paolo celebrated as far back as in 1997. – Team has the personality and the need to find more confidence and faith in our own capabilities. We are looking for a balance that would allow us to always stay in the game, even when we are losing. Our position on the table can be fixed, but we must work hard to win more points. – Napoli is a team that has a precise identity, we know how to fight them. – This is not a decisive encounter for any of the teams. We will be looking to win this game, but this is definitely not the last “train” to return to fight for the Champions League, said Pioli. 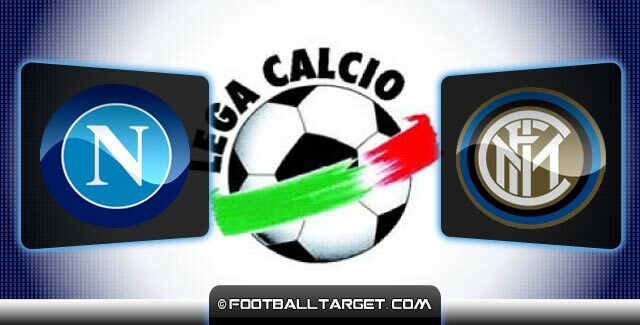 Inter Milan at San Paolo will miss injured defender Santon, defensive midfielder Medel and the reserve striker Palacio. Considering that both teams are under positions which lead to European competition, both of them would have to look for a win. Many online tipsters are backing Napoli for the 3 points with odds in the region of 4/5. Napoli sit at around 10/3. Because of this matched betting will be popular among the match day punters with odds matching tools likely to bring them the best returns on bookies free bets. Both teams to score also looks like a reasonable option to take. Both these sides have a strong scoring record with Inter netting multiple goals in three of their past league games and Napoli holding solid form at the Stadio San Paolo.